There are only a handful of competitor treadmills on the market. 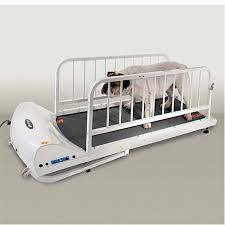 The Proform dog treadmill is one of them, however, there are also others. The GoPet is another clunky one that is not easy to store. Where in the world are you going to keep something like this in your apartment? They also have 'wheels' that your dog or cat can use, but these have to be incredibly hard on their backs. Imagine running on something like that and having your back all knotted up. The Big R Dog Treadmill was designed to be user friendly and was designed with the end-user in mind. It was also designed with the health and safety of your pet first. The health and safety of the animal should always be of paramount importance.